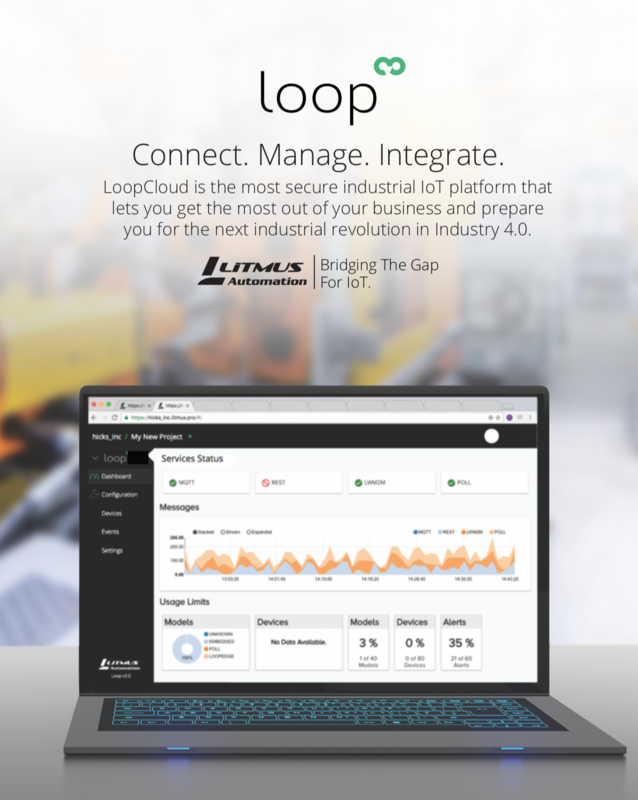 The Loop IoT platform and LoopEdge gateway software solution provide valuable business insight in the Industrial Manufacturing and Connected Car markets. The following readymade solutions demonstrate how Loop and LoopEdge work best. Litmus Automation’s Industrial Manufacturing IoT solutions manage the communications and processing of data from embedded legacy equipment on the factory floor. Production line anomalies from old machine systems can require long-term and costly maintenance. Loop and LoopEdge enable predictive maintenance as a precautionary solution, eliminating the instantaneous cost of failure on old machine systems. Request our Machine Health case study to learn more about how Litmus Automation can provide a similar solution. Reduce and eliminate the instantaneous cost of failure using Loop and LoopEdge. Litmus Automation provides a combined solution for both operational technology (OT) and information technology (IT) by leveraging the Loop and LoopEdge platforms. Request our Real-time Production Monitoring case study to learn more about how Litmus Automation can provide a similar solution. Decrease the cost associated with assembling and disassembling products with a robotic production system. Provide better quality control over final assembled items, through real-time monitoring. Customers receive quality assurance, allowing them to provide better SLAs around their final products. The LoopEdge and Loop Connected Industry Software Platform facilitates an integrated asset management system that ensures logistics optimization through easy location and monitoring of assets and material. Measure real-time physical inventory of assets and enhance productivity by remotely monitoring assets and infrastructure. Improve quality and quality control by maintaining full traceability of the digital thread from raw material to product. Quickly locate critical equipment and reduce inventory time to deliver more timely information for decision making. Improve security by preventing assets from leaving the premises and keeping designated assets out of unauthorized areas. Enhance visibility by tracking critical assets in real-time using RFID, shop floor sensors and warehouse management systems. The Loop and LoopEdge Connected Industry Software Platform enables Connected Operators intelligence including internal and external operating conditions, systems, and events as well as the traditional disciplines of quality, inventory, maintenance, and quality. Reduce energy costs, improve production efficiency, improve asset performance, improve design and commissioning. Achieve insight into asset and energy availability, reliability, and benchmarking. Reduce downtime, improve utilization, reduce maintenance, know repair and operations (MRO) inventory, improve design. Enable traceability and serialization and reduce the scope and impact of adverse events. Improve inventory and manufacturing performance. Enable flexible manufacturing through reduced lot size, increased customer responsiveness, increased asset utilization, and increased production capacity.